It’s going pretty good but could it be even better? The NRL season has gone gangbusters this season. The salary cap continues to provide an even competition with the competition favourites, minor premiership, configuration of the top 4 and configuration of the top 8 in doubt for most of the season and still not decided prior to round 26. For instance, just when Manly were anointed competition favourites they got knocked over by the Bunnies. Just when the Bunnies looked like winners they got knocked over by the Cowboys, comprehensively. Then the Cows struggle against feisty Cronulla. It has been good all year round, but could it have been even better? After careful consultation with the League of Extraordinary Gentleman, here are 3 ideas which are worthy of consideration. One thing the NRL struggles to provide is interest for those teams out of finals contention. Sharks, Raiders and Knights fans nodding sagely. Promotion and relegation (for those of you who live on the moon – no offence intended, I’m sure the moon is nice this time of year) occurs where a competition is divided into multiple tiers or divisions with a fixed number of teams who finish down the bottom of the competition at the end of the season (3 in the English Premier League) dropped to the tier below (the Championship) where they must play the next season. The same number of teams are promoted from the lower division to the higher division where they compete in the following season. The process continues year in year out. Does the NRL need promotion/relegation? 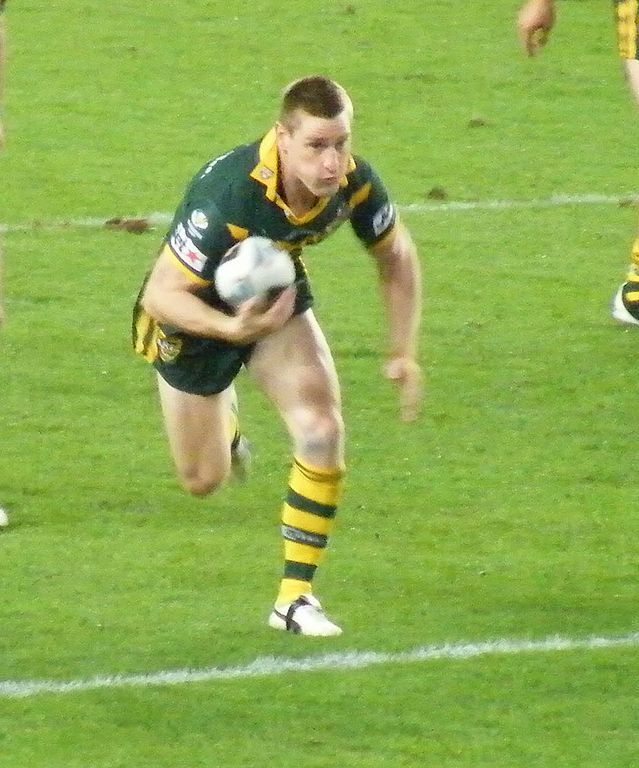 Provides interest for the bottom half of the competition – Cronulla, Canberra and the Knights were officially out of contention by halfway through the competition. What would happen if 2 of them were going down to the second tier of the competition? Tigers and Titans would have entered the drop zone as well. The theory behind promotion/relegation is that it motivates the bottom half of the competition when they would otherwise be out of contention. It maintains much interest amongst the fan base. It also allows clubs to set short term goals for the club on promotion (ie stay up). Provides motivation for clubs which would otherwise be extinct like Norths and Newtown. Instead of NSW Cup purgatory forever and playing as some other club’s feeder side, these clubs would be able to drop down to a lower division, reboot and eventually return to the NRL. No need for Souths type litigation either. Opportunity to expand the game is enhanced. Instead of Perth, PNG, Wellington, Central Coast and CQ fighting for the chance to one day be admitted to the competition there would be a pathway for each of those teams to qualify through promotion. Opportunity for the merged teams to once again play as separate entities. Wests, Balmain, St George and Illawarra could all demutualise and play in a supersized season in the initial promotion/relegation season. Promotion provides motivation for any club in Australia to be able, with the right infrastructure, to eventually win promotion to the NRL. Of course a significant restructuring of the game would be necessary between the NSW Cup and the Intrust Super Cup but this would immediately provide 3 tiers of competition for promotion/relegation. Redcliffe and Mounties could one day be playing in the NRL. Increases media attention in the lower tiers of the competition, especially when a big club drops down. The media rights for that second tier competition become more valuable. The second tier is more competitive than having a separate NSW Cup and Intrust Super Cup as well. English fans (who are well versed with promotion/relegation) tend to follow more than 1 club. They have their local club who might be playing in League 2 (which is effectively 4th Division) but they will also have another club which plays more regularly in the EPL. I think that kind of thing will develop in Australia as well, especially if it takes a while for Norths or Newtown to make it back to the top grade. Maybe some of the fans disenfranchised from the game during the Superleague war may be encouraged back into the game. Reintroduces the tribal nature of Rugby League again. Clubs will not be forced to relocate but will have to remain competitive to stay in the top grade, otherwise they are gooooone. Difficult to encourage long term sponsorship and investment in infrastructure when there is a chance that a team could have one bad season and end up in the second tier of the competition. Difficult to organise the lower tiers of the game with the tyranny of distance in Australia. Player contracts can be more difficult to negotiate as teams can become stuck with large contracts for players no longer performing at top grade level. Exhibit A – Leeds United. Teams tend to overspend to remain in the top tier but this effect would be limited by the salary cap if it remained in place. Australian public may not be comfortable with such a setup so may receive backlash for implementation. I think the NRL should seriously consider promotion/relegation. It will be difficult to get over the line because the clubs wield so much power but it would be well worth it. It would add loads of interest to the back half of the competition. Instead of only some of the games having finals implications, nearly every game would have either a finals or relegation impact. Once the season is over the only thing Rugby League fans have got to look forward to (once the Internationals are done and dusted) is recruiting news, although Cricket, EPL, NFL, NBA, NBL, A-League and a myriad of other sports are in play). There is always the beach as well. Another option for the NRL is to institute a rookie player draft. Anyone who follows the AFL, NBA or NFL will know how much excitement is generated by the draft. Should the NRL do the same? Firstly, a caveat, a draft wouldn’t work in a competition which has promotion/relegation in play. It would give teams in the top grade an unfair advantage. End of season interest is sparked as teams out of finals contention start to seriously consider which top talent they will draft for the following season. Teams down the bottom of the ladder get higher draft picks than teams at the top. The draft creates interest in the junior levels of the code. For instance, analysts (media and otherwise) provide reports and project draft positions for talented players years in advance. Interest is always at a fever pitch by the time the draft comes around each year but the buzz created is all year round. Allegations of tanking occur (real or otherwise) when the talent at the top of the draft board is of very high quality. Must be coupled with a centralised funding model for investment in junior football because there is no incentive at all for clubs to invest in junior football if a draft is in place. The ARL attempted to implement a player draft, however, it was struck down as an illegal restraint of trade (although that wasn’t in respect of a rookie player draft) so it would need to be implemented in a way that was above legal challenge. I think I prefer promotion/relegation if it came to a choice, however, if the NRL didn’t implement that plan then the draft would be the next best thing. The FA Cup and League Cups in England and the fledgling FFA Cup in Australia are examples of a knock-out cup competition. Rugby League once had such a midweek competition which carried various names over the years. AMCO Cup and Panasonic Cup were just 2 of the names the competition held. A Cup competition can be held concurrently with the NRL season and the Final (like the FA Cup Final) can be held in and around the NRL Finals. Teams who have been knocked out of premiership competition can often turn their attention to the Cup competition enabling further interest for the fans during the tail end of the season. Teams who are out of contention for the premiership can focus on the Cup competition and still get some silverware for the season. Teams from the second and third tier competitions are able to play against the big boys which in turn can generate extra revenue for those teams and give them a taste of the big leagues. Can be played in regions which don’t often get top class Rugby League further expanding the game. When played in a competition which has promotion/relegation also gives the lower tier teams the ability to measure themselves against higher tier competition. Extra wear and tear on the elite players, however, often the star players are rested for the games enabling lesser lights to shine. Top players are often rested so fans less likely to turn up to games. I think the FFA have shown the benefits of a Cup style competition in Australia. I think the NRL needs to bring back the Cup competition. Brent Tate – 9 ankle operations, 4 knee reconstructions, a shoulder reconstruction, neck surgery, broken jaw and he nearly bit his tongue off as well. What a loyal servant of the game. Props to Cronulla for turning up to play on Monday night. They almost put a huge dent in the Cowboys finals aspirations. Chelsea putting 6 past Everton. Biggest shock since Germany put 7 past Brazil. I still can’t believe that happened and that was almost 2 months ago. The NRL competition. Round 26 is set up with so many permutations for the top 8 you need a calculator to work it all out. The minor premiership is Manly’s if they can get over the Cowboys away. Otherwise the winner of the Roosters and the Bunnies will win the minor premiership. Top 4 positions for those three teams are sorted but Penrith must beat the Warriors to remain in the top 4, otherwise either the Cowboys or Storm will jump over them. The Bulldogs are a mathematical chance of making the top 4 but they will have to overcome a 56 point deficit in for and against (not insurmountable given they are playing the Titans who were poleaxed 42-0 against the Warriors last week). A Top 8 spot is probably guaranteed for the Cows (with their strong for and against) but the Storm, Bulldogs, Broncos, Warriors or Eels could all make or miss the top 8. Wow. That is one even competition. The Titans. I don’t think they are mailing it in but they were whacked against the Warriors. Big time. Basketball World Cup – The U.S are rolling as expected. Australia have had some good wins and look set for a quarter-final showdown with the U.S. Kiwis might jag fourth spot which is good enough for the knockout rounds. The transfer window – I don’t know why the last day is so exciting or disappointing depending on how your team recruited, given the transfer activity has been happening for months. I guess when the rumours are floating around about a world class centre-back or striker coming to your club you can dare to dream. It can seem a long time until the January window opens. Joey Leilua – Run Metres – 206m, Tries – 1, Try Assists – 2, Tackle Breaks – 9, Tackles – 7, Offloads – 3, Line Breaks – 2, Line Break Assists – 2, Errors – 0 and What does the ‘B’ stand for in B.J Leilua – Big. Would relegation/promotion work in Australia? This entry was tagged Australia, Basketball, EPL, Football, NRL, Rugby League, Soccer. Bookmark the permalink.